I really, really want to browse those shelves! Yes! the sofa clinches it for me. Lovely. This could not get any more perfect except that it is not in my house. 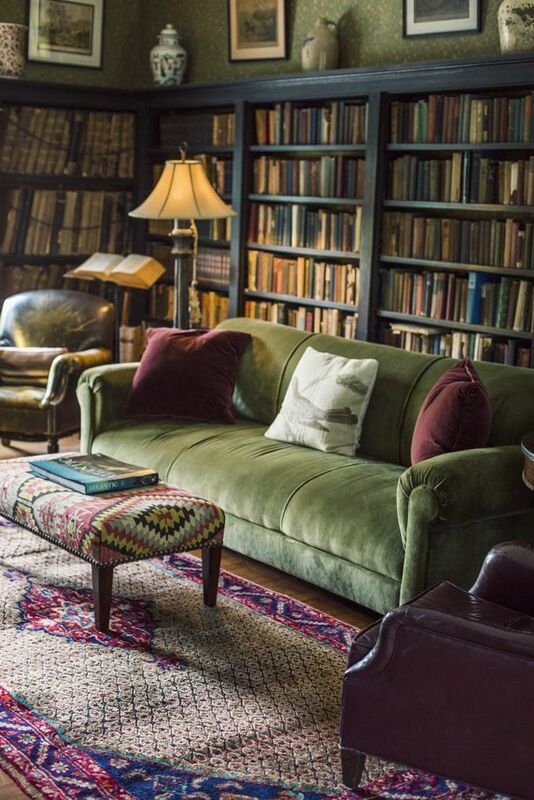 I’ve actually been coveting a carpet-covered ottoman/coffee table similar to that one. Someday! on June 9, 2015 at 16:27 | Reply kathy d.
Oh, yes for me, too. Hours, days could be spent at a time on that couch in that room. Only thing I’d do is lighten up the colors on the wall.